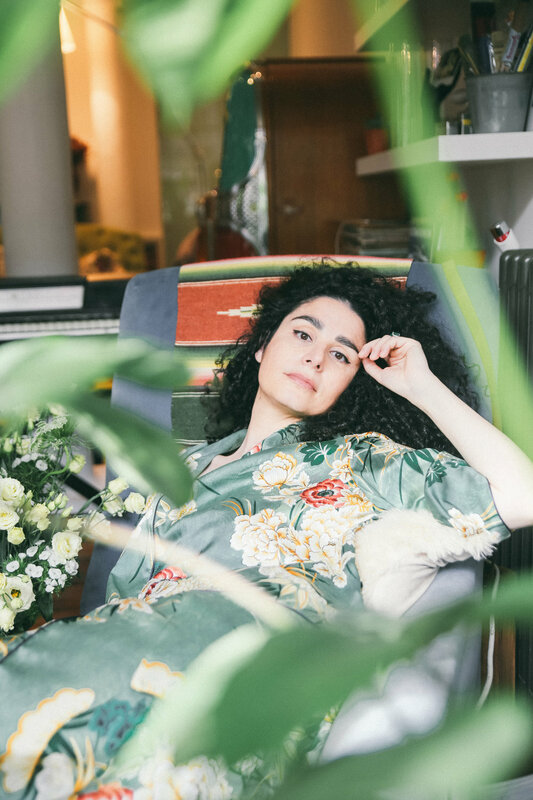 London based singer-songwriter Million Miles talks to us about the video for her new single 'Honey'. Where was the video for 'Honey' filmed? The video for ‘Honey’ was filmed in an old american diner in… Kent. It’s a bit of a random spot for a such a decor, but it’s just a brilliant place and we thought it suit the idea for the video perfectly. The song is about being completely into someone who’s obviously not very interested in you, and being desperate for their attention. It’s about hope and disappointment, but the lyrics are to be taken with a pinch of salt, which I wanted to be reflected in the video. Not too serious and with a cheeky flavour to it. Polly Misch, the other waitress in the video, who by the way is a brilliant actress, had to practice popping bubble gum for a bit. I think at one point she was chewing 5 pieces of gum and the stock of gum was coming to an end… But Tom (the director) captured the perfect one in the end. We were all very relieved he got that shot. It made sense to me for it to be shot in an American diner, I spend a lot of time in diners when I’m in the US. There’s something very casual and very stylish about them. This one is a bit vintage and I thought it brought charm and went well with the mood of the song. As for the story, it had to be a situation of romance opportunity slipping through someone's hands, and the love triangle plot worked with that, as a classic and almost caricatural case of being left behind, with a lovely twist in the ending. It’s the first video of the new EP, and this EP is very much about getting over heartbreak, moving on, and looking forward to the future. All that goes with seeing things and yourself positively, accepting that you don’t change people, as people can’t and shouldn’t change who you are. Only you can do that for yourself. This video covers the phase before all of that, the starting point, when you’re still miserable because of someone who you’re not meant to be with, the part when you learn to let go.